We are an Estate Agent located in Long Lane, Bexleyheath, selling and letting properties in Bexleyheath, Barnehurst, Crayford, Northumberland Heath, Erith and surrounding areas. Special offers for selling or renting available. Call us for more information. If you are thinking of selling or letting your property, our experienced staff can provide expert advice and a free valuation at competitive rates. If you are buying or renting in these locations, we can provide you with the latest properties available. In addition to selling and letting properties, we can offer you the services of Energy Performance Certificates by qualified staff and conveyancing with a local reputable firm of solicitors at competitive rates, to make your buying and selling stress free. Landlords, we provide 3 levels of service for letting your property. These are the Bronze, Silver and Gold service. Click here to find out more information or call us to discuss. With no hard sell, we are your friendly independent family run estate agent providing a very professional service. We are very approachable and will provide regular updates. We will not make promises we cannot keep. Check the latest property details on our website, Rightmove, Findaproperty, Prime Location, Globrix, London 2 Let, Mouseprice, Rovster, Nethouseprices and House Ladder. Unlike many agents we are also contactable outside normal office hours, so why not give us a call for a friendly chat or pop into our office. 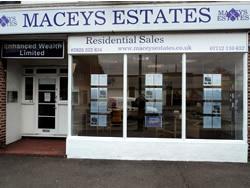 We have 4 members of staff with over 25 years experience in the estate agent business. Member of the Property Ombudsman. We provide FREE valuations, access to competitive rates for EPCs, Landlord certificates, floor plans and premium listings on major websites. We can also assist with competitive quotes for conveyancing. We offer a range of fees for selling you property as well as a number of different packages for landlords to choose from in letting your property.